Saves 24 lbs. 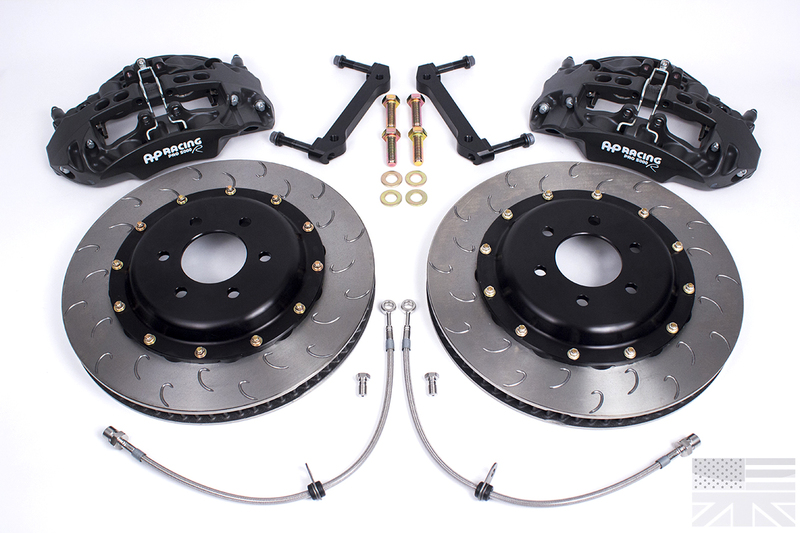 of unsprung weight vs. the OEM M2 Competition front brake package! Brake pads are NOT included with our system. Racing brake pads are a highly personal choice. Many manufacturers include a set of inexpensive,low quality pads with their brake kits. Rather than artificially inflating the price of our system with a set of pads you probably don't want anyway, we've decided to remove the cost from our system and allow our customers to choose the pads that best suit their needs/wants. When purchasing our kit, you are able to choose one set of front pads at a substantial discount vs. the retail price. Please use the drop-down menu to select your pads.